Beginning in the 20th century, marketers began using focus groups to research the potential public response to a product, service, advertisement and more. Focus groups use a variety of methods to determine a person’s attitude, opinion, perception or belief. Primarily, a person in a focus group is simply asked about how they feel and they give a conscious response. However, purchase decisions are essentially a non-conscious act. Therefore, traditional research methods may not be enough to fully understand a consumer’s emotional state ultimately influenced through marketing. Neuromarketing is the study of neurological responses to marketing messages. While still in an early stage of development, neuromarketing studies are currently being conducted and their findings are being used for online marketing campaigns. Now, there is some controversy over neuromarketing, but as of yet, there is still no way to pipe advertisements directly into people’s brains—so don’t worry. 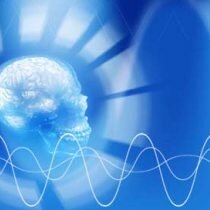 Current neuromarketing techniques include eye tracking, galvanic skin response and a variety of brain wave measurements. Oneupweb has been conducting eye tracking studies for many years now. One of the most recent whitepapers is a study of search on social networking sites. The study was conducted by analyzing a subject’s eye movement while searching. It’s 2010 and technology is changing the marketing landscape—innovators rejoice!